Ep. 25: What Does Chaos Mean to a German? 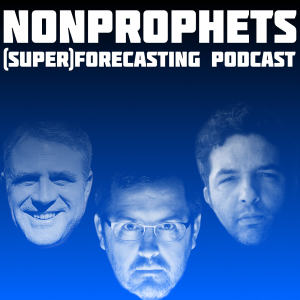 Episode 25 of the NonProphets podcast, in which Atief, Robert, and Scott talk with German superforecaster and economist Roman Hagelstein about his background (0:15), how he gamed the Good Judgment Project’s forecasting markets (1:34), his general approach to forecasting (3:25), the value of “extremizing” forecasts (4:13), whether his German background affects how he forecasts (10:47), and why civil wars tend to last a long time (16:25).